The following is adapted from my segment on last night’s Virtual Skeptics webcast, now available for your viewing pleasure on the prestigious Internet. 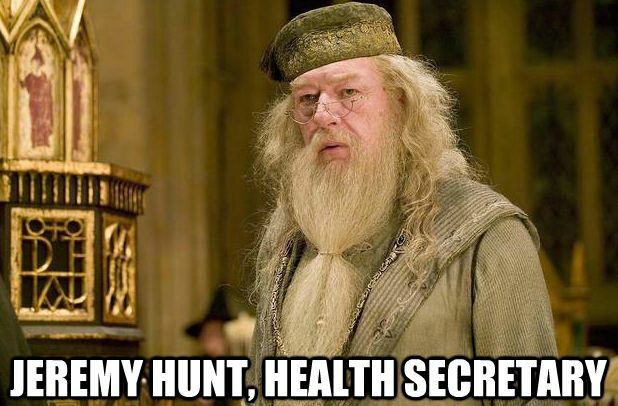 It’s a good time to be British: first they had the Olympics; now they have a new Health Secretary. Jeremy Hunt, conservative member of Parliament for South West Surrey, was named Secretary of State for Health on Tuesday, September 4, after a Cabinet reshuffle. Right now the NHS needs somebody who believes in its values and is ready to stand up for it. Instead, the prime minister has given it to the man who reportedly tried to remove the NHS tribute from the opening ceremony of the Olympic Games. Of even greater concern to anyone interested in science and effective health care, the Health Secretary supports homeopathy. Because of this, New Scientist has dubbed him the Minister of Magic. That this House welcomes the positive contribution made to the health of the nation by the NHS homeopathic hospitals; notes that some six million people use complementary treatments each year; believes that complementary medicine has the potential to offer clinically-effective and cost-effective solutions to common health problems faced by NHS patients, including chronic difficult to treat conditions such as musculoskeletal and other chronic pain, eczema, depression, anxiety and insomnia, allergy, chronic fatigue and irritable bowel syndrome; expresses concern that NHS cuts are threatening the future of these hospitals; and calls on the Government actively to support these valuable national assets. I understand that it is your view that homeopathy is not effective, and therefore that people should not be encouraged to use it as a treatment. However I am afraid that I have to disagree with you on this issue. Homeopathic care is enormously valued by thousands of people and in the NHS that the Government repeatedly tells us is “patient-led” it ought to be available where a doctor and patient believe that a homeopathic treatment may be of benefit to the patient. Personally, I enormously value human sacrifice as an effective treatment for migraines. I’m currently seeking a doctor* who agrees with me. If I can find one, I fully expect that my insurance will cover my dark rituals, since medical care should be “patient led.” I mean I know more about it than a neurologist, right? RIGHT? The principle of voodoo healing is simple. As “like affects like,” an appropriately manufactured and treated wax doll or cloth puppet may substitute for the patient, and manipulations performed on the doll substitute for those performed on the patient. Techniques of visualisation and channelling of healing are easy to learn, and it is possible to combine voodoo with “conventional” or allopathic medicine simply by administering the medicine to the doll rather than to the patient. 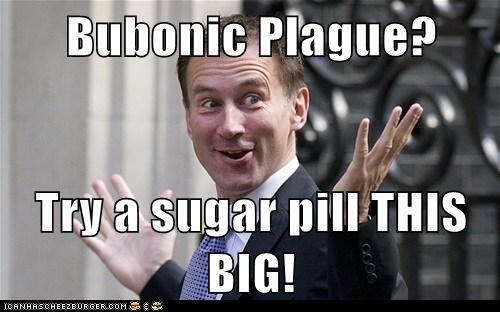 To praise the positive contribution of homeopathy to the NHS does not bode well for the new person in charge of UK healthcare. One can only hope that with the reality of the new job, there will be a more rational insight in the actual evidence on this topic. There is overwhelming evidence that homeopathic medicine is not effective. It would be a real blow for those who want medicine to be science-based if the secretary of state were to promote homeopathy because of his personal beliefs. 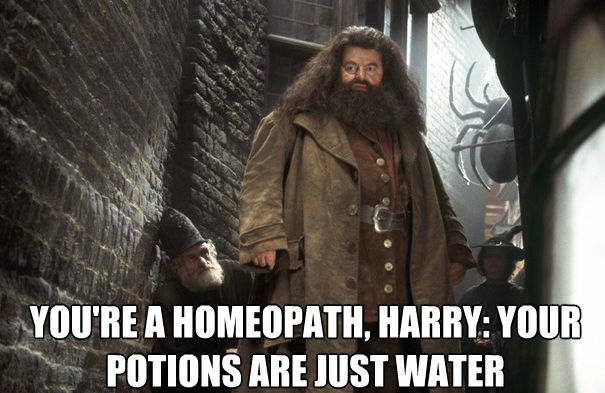 *It doesn’t have to be a real one: I’ll go with a homeopath, iridologist, naturopath, chiropractor, acupuncturist, energy healer, aura cleanser, reflexologist, witch doctor–I’m not picky.